When the Creator brings the human being to the world, He bestows all the possibilities for him to be happy. He gives him all the opportunities to that person with both the internal and the external capabilities and means to achieve the contentment and the harmony in life. The question is why do we remain sad and unhappy most of the time. In reality, the unhappiness comes from outside and the outer circumstances, but humans don’t realize that the happiness resides within. It is because they are not guarding themselves mentally, that the conditions of the external world make them unhappy. 5. The mouth for speech. 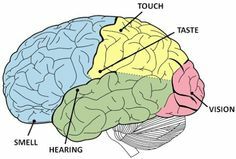 These five organs are used to remain in contact with the world or say they make us interact with the world. Now we know that Nature is composed of five essential elements: space (or ether), air, fire, water and earth. All these fifteen materials are provided to us to remain happy and contented. Added to these gifts, we also have the last sixteenth advantage of the mind. The old classics mention even much more and go beyond the given gifts of the Creator. The ordinary people like us should work with the sixteenth blessing. We should know that the mind is the center of sadness or unhappiness. Usually, to treat the disease, the doctor gets the results of pathological tests to locate the diseased body part. The folks should make the mind work for them. Likewise, the mind is the cause of all the sadness, embarrassment, disappointment, irritability, restlessness, fatigue, and the depression. It makes sick all the fifteen resources given. Only Yog is capable of controlling and curing the mind. So performing yoga is like taking a pot of happiness in hand. With the pot’s lid open, and the happiness overflowing., you will not be able to distribute the happiness if the pot is upside down or the with the lid shut, the happiness will still overflow, but you can not partake the joy. The best option is to keep the pot upright and with both hands distribute the pleasure. Therefore, practice yoga with all your earnestness for some time in each 24 hours. Yoga has a different meaning to different people. To the western world, it means physical exercise by stretching and performing different postures. But in its place of origin, in India, it means yoga is a system of balance of physical, mental and higher awareness. There’s no better way to remain fit and active than yoga for a splendid lifestyle. This old system not only tones your muscles and burn calories but also provides a healthier life by helping you unwind your mind and body both. It was also one of the methods followed by many to reach their goal of a having a healthy body. Yoga is considered to have originated way back in 5th to 6th BCE. Written evidence recorded by sage Patanjali in the first half of the 1st century BCE is available. Swami Vivekananda from India introduced the concept of Yoga in the occidental world during his travels in the USA in the last decade of 19th and early 20th century. Yog gurus from India later brought yoga to the West, following the achievement of Swami Vivekananda. In the 1980s, Yoga became familiar with a system of keeping fit by physical activity all over the Western world. Yoga in Indian culture, however, is practiced more than a mechanical exercise, it has a deep and pure core of involving the mind as well. Many investigations have tried to ascertain the effectiveness of yoga as a parallel intervention for carcinogenic, schizophrenia, asthma, and heart illness. The conclusion of these studies have been confused and uncertain, with cancer investigation suggesting none to unclear effectiveness, and others advise yoga may diminish risk factors and aid in a patient’s emotional remedial method. Yoga may not prove all the cases of the disease, but it does improve the mental and subtle psychological set up of humans. Yoga came to the notice of an educated Western public and the rest of the world citizenry in the mid-19th century as per N.C.Paul in 1851 who wrote about the Yoga in his book “Treatise on Yoga Philosophy in 1851. The earliest Hindu guru to actively advocate and disseminate aspects of yoga to a western audience, Swami Vivekananda, toured Europe and the United States in the 1890s. The recognition which Swami Vivekananda received built on the warm attention of scholars and intelligentsia. They got mainly influenced by the Upanishads, the Indian origin scholarly books. They promoted a core belief in the inherent goodness of both people and nature. The New England Transcendentalists R W Emerson, G W F Hegel, the Schlegel brothers of the years (1772- 1829), Max Mueller(1823-1900). These and others influenced the American public opinion favorably on Yoga. The influence of Vedas and Yoga left a marked influence of intellectuals for the Yoga to be accepted positively. M Eliade, himself rooted in the Romanian courses of these beliefs, brought a new component to the reception of Yoga with the significant importance on Tantric Yoga in his compelling book: Yoga: Immortality and Freedom. With the initiation of the Tantra rituals and knowledge of Yoga, the interpretation of the “transcendent” to be attained by Yogic method shifted from encountering the “transcendent” (“Atman-Brahman” in Advaitic theory) in the mind to the body itself. The American-born yogi by the name of Pierre Arnold Bernard, after his journeys throughout the lands of Kashmir and Bengal, established the Tantrik Order of America in 1905. His instructions gave many Westerners their first impression into the methods of yoga and tantra. The new controlled research of Yoga commenced with the works of Major D. Basu in the late 19th century and then extended in the 20th century. Sri Yogendra (1897–1989) and Swami Kuvalayananda Western medicinal scientists came to Kuvalyanadhama health and Yoga Research Center, commencing in 1928, to examine Yoga as a thoughtful way of living. The West, in the early 21st century typically connects the word “Yoga” with Hatha Yoga and its postures or as a kind of exercise. Throughout the 1910s and 1920s in the USA. Yoga experienced a period of adverse reporting due mainly to the reaction against immigration, a rise in puritanical values, and some scandals. In the 1930s and 1940s, Yoga started to gain more public recognition as a result of notable approval. In the 1950s the United States saw a different period of fear against Yoga, but by the 1960s, Western share in Hindu unearthliness touched its top, giving rise to a large number of Neo-Hindu schools explicitly advocated a Western public. Harbhajan Singh Yogi brought Kundalini Yoga with a touch of Sikh beliefs to the United States in 1969. His 3HO Foundation caught the imagination of American youth drifting into drug and Hippy culture. Overall, traditional instructions of Ashtanga Yoga, Samkhya, the comprehensive body system, Fitness Asanas, and Tantric parts were included in the Yoga instructors training by Baba Hari Dass (1923–), in the United States and Canada. A second “Yoga boom” arose in the 1980s, as Dean Ornish, a follower of Swami Satchananda, linked yoga to heart health, legitimizing yoga as a wholly physical practice of health exercises outside of counter knowledge or esotericism circles, and unrelated to any religious following. Diverse asanas seemed modern in origin, and strongly projected with 19th and early-20th-century Western exercise traditions. After 2001, the audience of yoga in the USA has increased continuously. 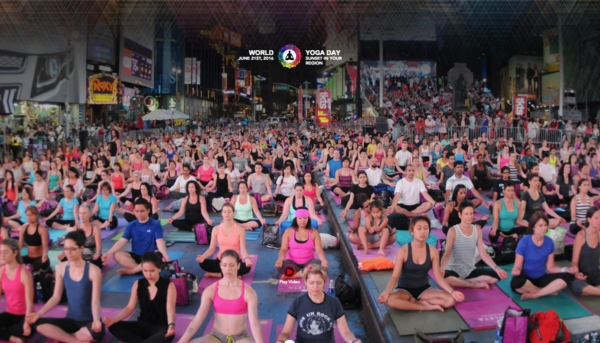 The number of individuals who attended any form of yoga has grown from 4 million (in 2001) to 20 million (in 2011). It has attracted support from world leaders such as President Obama who stated, “Yoga has become a universal language of spiritual activity in the United States, crossing many lines of religion and cultures,… Every day, millions of people do yoga to enhance their health and overall well-being. That’s why we’re advising all to take part in PALA (Presidential Active Lifestyle Award), so give your help for yoga and answer the call”. The `American College Of Sports Medicine supports the blending of yoga into the practice regimens of active individuals as long as properly trained experts deliver supervision. The College cites yoga’s improvement of “profound intellectual, physical and spiritual perception” and its advantages as a method of stretching, and as an enhancer of breathing control and core mental strength. It is easy to find people practicing Yoga in parks in the mornings. Since my adolescence Yoga attracted me. Because being an absolute physically fit and outdoor activist interested me. I remember very avidly that the newspapers in Delhi gave the photo shots of Miss Delhi in June 1966. Media caught my attention as the informed that she practiced Yoga regularly. The Cultural Department of the City state had organized a press conference on Yoga in the city. As a part of the program, she was to give a demo of the Yoga poses. Her teacher answered questions from the audience. It was a delightful to see her performing various asanas. Her beauty was captivating. Each of her asanas got correctly conducted with a beaming smile throughout. It made me think that how practicing one could remain so beautiful with a perfect body shape. The director of the Institute announced that free classes were open daily to the public in the morning hours in the premises. Needless to say that I had joined and followed Yoga from the next day. Day in day out I learned the techniques and intricacies of this scientific method of the mental and physical perfection of Yoga. That is how my enthusiasm for Yoga started and remains so till today. I learned all about yoga slowly. Yoga is universal in the world. It is a fundamental part of Indian cultural heritage. There are many yoga gurus, yoga celebrities, sages like Baba Ramdev and even a yogi Prime Minister. With roots in the Vedas, Yoga has been followed for ages by the people and the Yogacharyas. It is interesting to know that how Yoga transformed into woman’s fitness program worldwide. Usually, the Yoga classes are challenging physically and mentally, and I was surprised to find that it also was a unique social space, community, with its style, codes, and norms. For those who have been inspired to join a class in the celebrations of the second International Yoga Day over the past month worldwide, here are some of the experiences and views which will give you a penetration into the experience of yoga practice. The gender ratio of men to women in a yoga class is more for women. Contrary to what most people would believe, there are scarcely any guys in yoga. Not simply in India but throughout the world, Yoga is managed by women. For men aspiring to begin Yoga, this may be a little disconcerting. I too queried what kept men away from Yoga. With roots in the Vedas, it has been followed for centuries by rishis and swamis. How did yoga convert into an urban women’s health program? Rajesh, A teacher of yoga in the small town of Chomu near Jaipur in Rajasthan, verified that Yoga is widespread among women in small towns as well. Because: “Women are more attuned to their internal self. They naturally know the advantages of Yoga on mind and body.” Yoga is excellent for men as well, he added. “It is soothing, relaxing and helps build muscle energy.” You can also take satisfaction in the declaration that instead of a vast number of women practicing yoga there are more men than women in teacher’s training than women in the whole world. The chief of yoga poses, Sheesh Asana or the headstand, is yoga’s coolest turning. As a novice, I gasped with fear when I saw people about me getting into the Sheesh Asana, (headstand). I saw that the class got split into people who could do the headstand without any support, those who succeeded to do it with the teacher’s help and the others like me who did not try. Like me, many newcomers, I noticed, became fixated on achieving supremacy in one posture or another. I would look about and resent those who could easily make certain asanas. Soon, I felt that this judgment made my training less enjoyable. Yoga specialists say that forcing oneself into a position makes one more inclined to damage. Yoga is not a game or a contest. If you are a newcomer, do look at it as a life-long adventure to be undertaken with love for your body and sympathy for your natural limitations. I got addicted to yoga within a short while in 2008 following the class by Swami Ramdev in Haridwar. I attended his early morning physical class and lectures during the day on Yoga for full one week. Nowadays I go to an hour and a half long Yoga class five times a week. I also started to talk about Yoga to my friends, neighboring Government and private school freely. Yoga was helping me tremendously, and I began to inspire others to experience the advantages. In short, I changed into a yoga missionary. I urged friends and family to register in for the class and some of them did. Although Yoga is for everyone, I soon found out that everybody does not positively enjoy or even profit from it. In the beginning days of your Yoga practice, you may be encouraged to make your loved ones knowledgeable of the benefits of Yoga, but experience lies in letting people choose their path towards wellness and overcoming the pride of understanding what is beneficial for everyone. Over the past few months, I had started to discover a balance both learned and in my Yoga work. While I recognize the outcomes of my practice with better endurance and usefulness, I am over the passionate phase. I have cut down my assemblies to four times a week. I have taken to roaming on the other days. While I still completely love Yoga, I do not think I can develop to the “expert” level or grow and be a Yoga teacher. So, I am not going to become a “Yog Shikshak” ( Yoga teacher) anytime shortly. But, I am pleased with my practice. I have discovered to keep my focus inwards throughout the session. Apparently, this is as close to being a Yogi that I will get. At my age of 67, I am moving about without any hindrance, all because my aim to make efforts all around to smile and be happy and healthy.